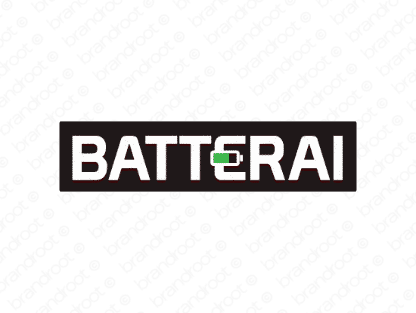 Brand batterai is for sale on Brandroot.com! A creative and distinctive play on the everyday word battery. Perfect for companies that rely on alternative power or those who specialize in technology or research and development. You will have full ownership and rights to Batterai.com. One of our professional Brandroot representatives will contact you and walk you through the entire transfer process.